Alenush Terian was born in Tehran on November 9, 1920. Her Father translated parts of Shahnameh (a masterpiece by Iran’s great poet, Ferdowsi) into Armenian language. Her mother graduated in literature from Switzerland. Alenush Terian went to the Armenian elementary school and the Zoroastrians’ high school in Isfahan. 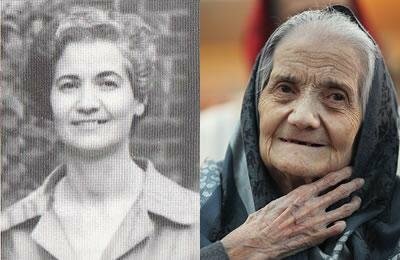 She graduated in 1947 from Tehran University, where she was employed and put in charge of laboratory operations of the School of Sciences. Then she applied for scholarship, but her professor did not approve her request because she was a woman. So she went to France at her family’s expense and continued her education at Sorbonne University. She received her PhD in 1956. Ms. Terian was offered to teach at Sorbonne as a professor, but she preferred to go back to Iran to serve her own people. She was appointed as an associate professor of thermodynamics at Tehran University. She became a professor in 1964. In 1966, she became a member of Tehran University’s Geophysics Faculty and played a significant role in founding the first solar physics obeservatory in Iran. In 1969, Ms. Terian was tasked with leading the solar physics research group at Tehran University’s Institute of Geophysics. Alenush Terian was the first person to teach astrophysics in Iran. She was fluent in French, Persian and Armenian, and also knew Turkish and English. Alenush Terian was retired upon her own request after 30 years of teaching. She did not get married and dedicated her house to the Armenians in Jolfa and students who did not have proper accommodation. In the final years of her life, she lived in a nursing home and passed away on 6 March 2011.